Healthy consumers are fleeing the health insurance marketplace for cheaper options as the Trump administration opened the way for alternative coverage plans earlier this year. The result could leave the individual market risk pool smaller and sicker. That was what health insurance brokers told researchers from Georgetown University and the Urban Institute in the latest of a series of reports funded by the Robert Wood Johnson Foundation. With the foundation’s support, the Urban Institute is undertaking a comprehensive monitoring and tracking project to examine the implementation and effects of health reform. The project began in May 2011 and will take place over several years. The 2019 open enrollment season is set to begin Nov. 1. This will be the sixth year of enrollment under the Affordable Care Act. The Georgetown University researchers asked health insurance brokers in six states for their observations on the condition of the marketplace and how consumers are responding to recent federal policy adjustments to the ACA. What brokers had to say can be broken down into four main perspectives. Brokers told researchers that healthy, higher-income consumers are being pushed out of the individual market. Consumers who are not eligible for a subsidy to help purchase insurance are finding the cost of coverage to be prohibitive. Even though consumer demand for health insurance continues to be high, brokers said significant premium increases combined with fewer plan options and limited provider networks resulted in a decline in enrollment in ACA-compliant coverage among higher-income and healthier consumers. Consumers are leaving the individual market in favor of purchasing cheaper alternative coverage options. Brokers said they are looking for alternative coverage arrangements to sell clients who are weary of high premiums and reduced plan choices. Earlier this year, the Trump administration cleared the way for insurers to sell to short-term health plans as a lower-cost way for consumers to obtain coverage. In addition, federal regulators gave the green light to “association health plans” for small businesses as lower-cost insurance options that cover less. Such plans can be offered across state lines and are also designed for self-employed people. 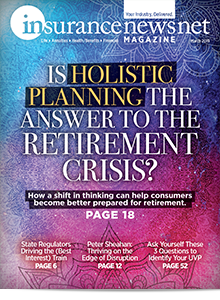 Non-ACA-compliant plans offer brokers higher commissions and marketing supports. These plans have lower premiums, but brokers reported the compensation they receive for selling these products is often higher than ACA-compliant plans. Meanwhile, broker compensation for selling ACA-compliant individual market plans has declined. 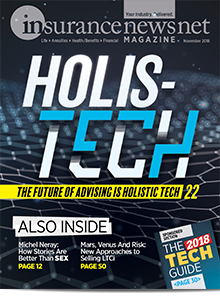 Marketing practices, such as direct-to-consumer advertising and broker trainings, for alternative coverage options are also aggressive, brokers told researchers. Brokers told researchers they expect to see expanded enrollment in short-term health plans and association health plans. Brokers also expect to see continued marketing of products such as health care sharing ministries and direct primary care arrangements. As a result, enrollment in the individual health insurance market will become smaller and sicker. However, Lucia said, brokers reported they are still seeing people walking in the door seeking health insurance, and they want to help people obtain coverage. Lucia said brokers indicated a growing interest in alternative coverage options partly because they are looking for solutions. 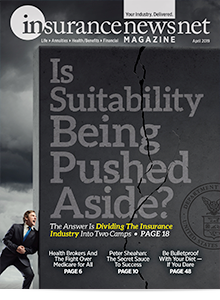 Health insurance brokers have seen their commissions on the individual market evaporating in recent years. The Georgetown University report echoed that. For example, a Mississippi broker told researchers his individual market commissions dropped from $30 per member per month to $8; a New Hampshire broker told researchers she made 70 percent less on individual market commissions than she did 10 years ago. “Brokers have been upset at carriers for the past few years. ‘Let’s keep cutting your commissions, put more work on you.’ It hasn’t been a great feeling for the broker community,” a Georgia broker was quoted in the report. Can brokers make money by selling alternative coverage options? “It’s hard to tell,” Lucia said. One surprising finding that came out of the report, Lucia said, is that more brokers indicated they were interested in enrolling clients in health care sharing ministries, which are not considered to be insurance coverage. HCSM coverage does not have to meet any of the ACA consumer protections, although enrollment in an HCSM exempts a consumer from the individual mandate penalty for 2018. “I think it’s partly because the broker community is looking for alternatives to the market where their customers have been priced out and they’re looking for something,” Lucia said. Consumers may be getting priced out of the ACA’s individual market, but there are risks involved with moving to a less expensive health insurance alternative, Lucia warned. health care sharing ministries “have significant benefit limitations” Lucia said. “They often have annual and lifetime limits. They don’t cover some of the same preventive services or pharmacy or mental health. So you do get the lower premium but it does come at a cost to your client that they can’t be assured it will cover their needs if they are diagnosed with cancer or if they are diagnosed with diabetes. Some brokers told the study researchers they require clients to sign disclosure statements attesting that they are aware of these plans’ limitations before enrolling. A broker from Texas is “very cautious about [selling] those types of coverage” that are not insurance or that have limitations, noting “people don’t understand insurance.” Other brokers told researchers that they want to maintain long-term relationships with their clients, particularly for future Medicare sales, and do not want to be blamed if a customer later finds their coverage insufficient. What happens in the small-group health insurance market affects brokers on two fronts: Brokers have clients who are classified as small groups and many brokers themselves have businesses that are small groups. Another development in the small-group market has been the Trump administration’s push to make it easier to form an association that will be able to market coverage to small employers. 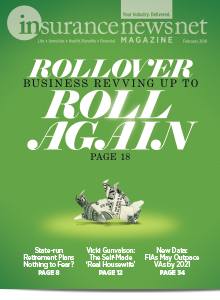 “Both of these arrangements, because of how they are regulated, will allow small employers to buy coverage that does not have to come into compliance with the protections that are required in the fully insured group market, which is adjusted community rating, the rating protections, the single risk pool and the requirement that they cover essential health benefits,” Lucia said. 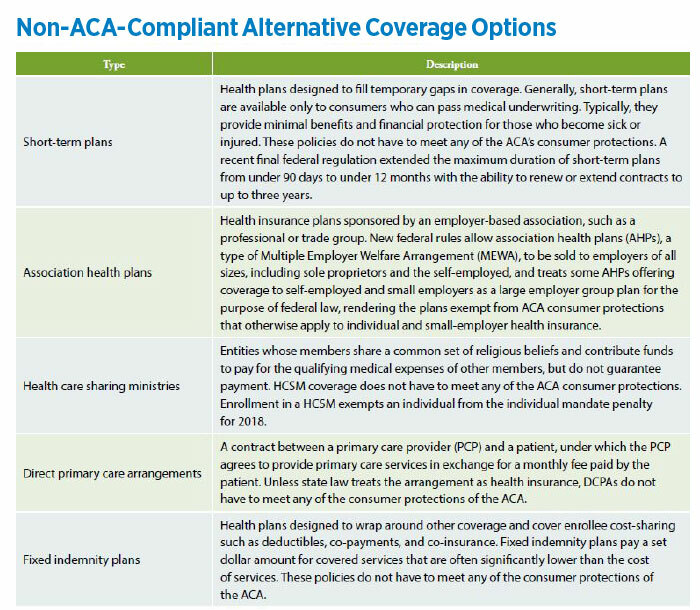 But these alternative coverage options are not the same, Lucia said. They don’t have the same rating protections, and they don’t have the same benefit protections. That leads to an unlevel playing field between these different arrangements, he said. Health care services are expenses, and services feed into premiums, Lucia said. Another potential problem exists when small-group employers buy skimpier products with alternative plans, Lucia said. If the group becomes older or sicker and premiums for the alternative coverage go up, employers may find that it’s too expensive to return to the fullyinsured market because that market has fewer healthy people in it as well. group market is at risk. And it is at risk because of these other alternative coverage options,” he said. What’s Ahead For Open Enrollment Season? 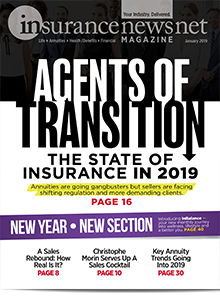 Lucia predicted that with the individual mandate penalty going away in January 2019, consumers will see more marketing of alternative coverage options. 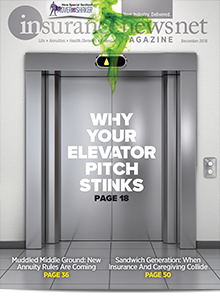 “I think consumers are going to be inundated with marketing of these types of arrangements. They’re going to be in a position where it’s going to be difficult to navigate between these options and really understand what each coverage option covers. So I think consumers will be in a challenging place,” he said. Some good news for advisors this enrollment season is that consumers may need them more than ever. That’s because the Trump administration cut funding for the navigator program. Lucia predicted brokers will see a growing market for alternative coverage options.